That’s certainly an interesting choice of words from the noted defender of white supremacists and head of the agency that actually forcibly separated parents from their children. 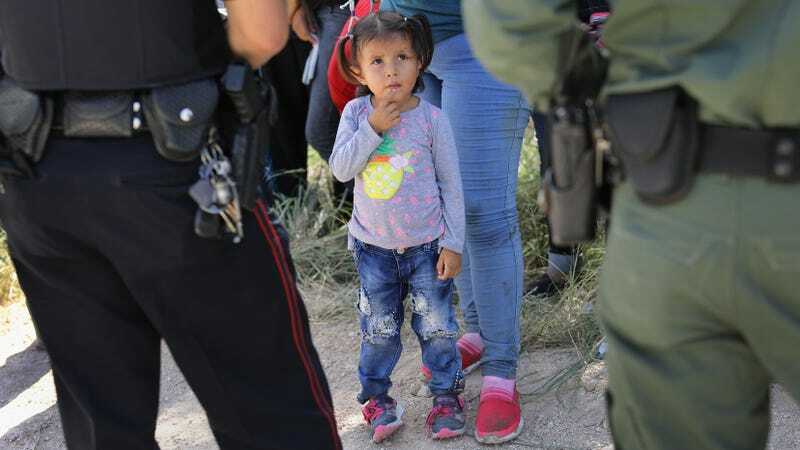 As for whether the Trump administration will meet its court-ordered deadline of today to reunite all families separated earlier this year at the U.S.-Mexico border under its “zero tolerance” policy, the Guardian reports that she assured caucus members the process is “on track”—but the numbers that officials have released over the past few days reveal a far grimmer reality for hundreds of families. But don’t worry! Nielsen would like to assure us that she really cares about the families that her agency decided to rip apart. Oh, and remember the lead Department of Justice attorney representing the administration against the ACLU who cares more about dogs than migrant families? She probably isn’t a racist either.